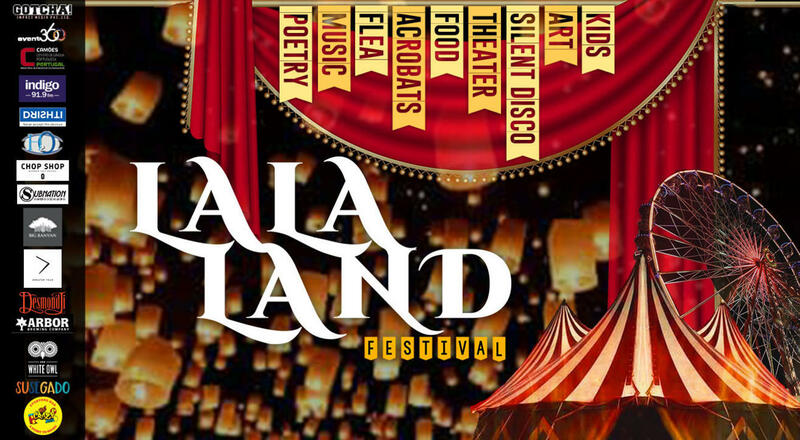 LaLaLand spans over two days with spectacular live national and international acts consisting of acrobatics, music, aerial show, Silent Disco, cabaret and mime; beatbox and spoken word. Learn rope balancing, have a shave or massage at the pop up Chop Shop, get the artist in you out at our graffiti paintball wall, play games (as) if you are a child, roam at the flea market and enjoy the bar & food. You find LaLaLand in the garden of an Old Portuguese house, surprisingly central in Goa, not far from Calangute Beach. Check out www.lalalandgoa.in for latest updates. Who all can attend the festival? Yes, debit/ credit card and cash are acceptable. There are many options available: You can walk to the festival, ride your bike, drive your car, or you can also use public transportation. Showtimes differ according to each venue and production. For show times please look on the individual events pages. Showtimes differ according to each event. Doors open approx. 15 minutes before the event start time. Seating cannot be reserved. Arriving early is the best way to ensure that you are sitting together. At LaLaLand you will find magic and happiness in every corner of our garden and theatre. LaLa For everyone! LaLaLand is ready with a lineup full of national and international artists, exciting up-and-comers, and lots of surprises. Don’t wanna stop dancing? Put on some magical headphones and experience this one of a kind dance party. The Silent Disco is a unique LaLaLand experience, to make you groove and bust a move– broadcast directly into your ears. Drupad Gaonkar ( a.k.a BLIP) from IMIMEGINATION is bringing a very special MIME act. His ideas come alive in Mime, Dance, Art and Living. Fado, a type of Portuguese singing, traditionally associated with pubs and cafés, that is renowned for its expressive and profoundly melancholic character. Chandrakant Redican- Chandrakant is a Spoken Word Poet and educator. He has performed at venues across the country such as Blue Frog, High Spirits etc. He has organised and hosted numerous slams, performances and open mics. Currently Chandrakant Curates Poetry for the Pune International Literary Festival and is teaching a course in slam poetry at the Symbiosis Center for Liberal Arts Pune. The course is the first of its kind in the country and has been completely designed and conducted by Chandrakant. Parag Bhide is a percussionist and beatboxer and the lead drummer of various Bands. He has performed at most major venues in the country and is one of the Best beatboxers in Pune. He also manufactures musical instruments and has made his own version of the Hang Drum instrument. Manasi Nene is the first Indian women beatboxing champion. She is also one of the top four beatbox-loopstation artists. In addition to that she is kickass poet and the founder of pune poetry slam. She founded the Pune Poetry Slam at 17, and it has emerged as one of the leading literary communities and spaces in the country.